A dream garage should be comfortable for you and your buddies. 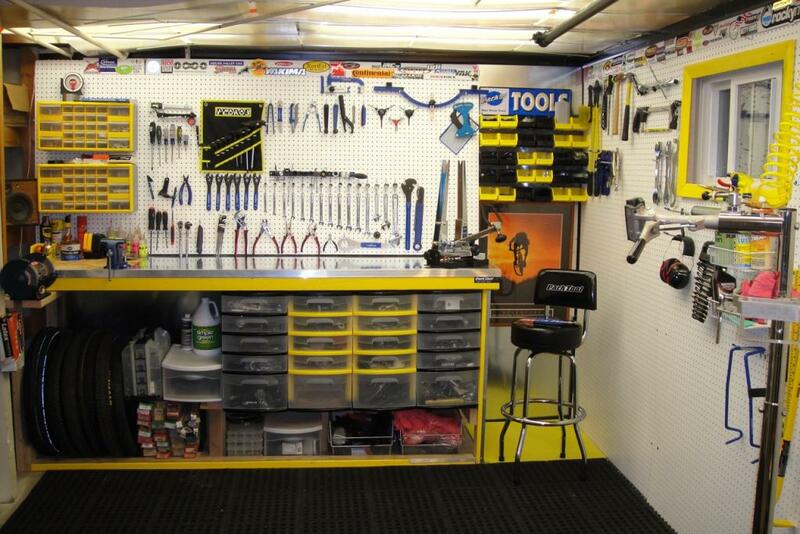 Building your dream garage workshop might seem like a daunting task, but it shouldn’t be. It’s a customization process that should take a little time and consideration to get just right. The payoff? A tricked-out workspace will not only serve as the ultimate repair station for you and your riding pals but also as ride headquarters, conference room and social party space for the neighborhood. It should be unique, comfortable and visually appealing so you never want to leave. Below is a list of 10 of our favorite must-have necessities to get you started. While it might be grandiose on some levels it can also serve as being aspirational as well. Least we mention all the brands and items listed here have comparable companions at lower (or higher) price points. Take a look and let’s start dreaming. 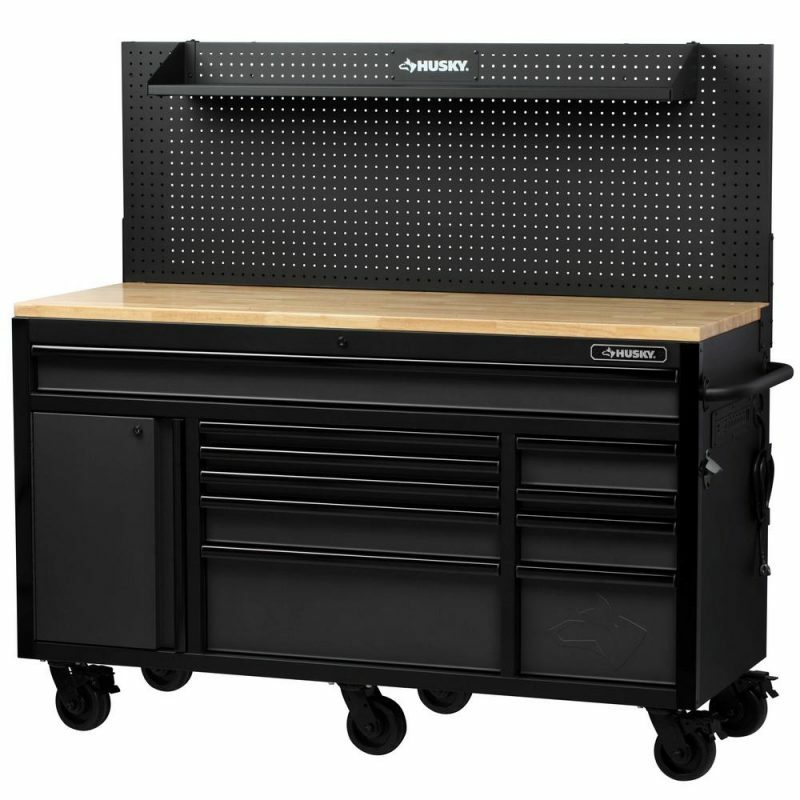 Every “dream garage” starts with a quality workbench and this beauty from Husky tops our list. It’s constructed from all-welded steel with a flip-up pegboard that can hold up to 200 pounds of hanging tools. With 10 drawers and 1 large door cubby providing just over 25 cubic inches of storage space you’ll have plenty of room for all your bike related tools as well as power tools for home improvements and additional car and motorcycle tools. A solid wood top offers 1,403 square inches of sturdy work surface and an additional adjustable shelf capable of supporting up to 130 pounds gives you plenty of room to spread out. There’s also an integrated power strip with six outlets and two USB ports for all your electrical needs. More than 70 shop quality tools at your disposal. Now that you have a sweet workbench with a large pegboard (whether you bought one like the Husky shown above or built your own) you’ll need to outfit it with a quality set of bicycle tools. Enter Park’s Professional Tool Kit. 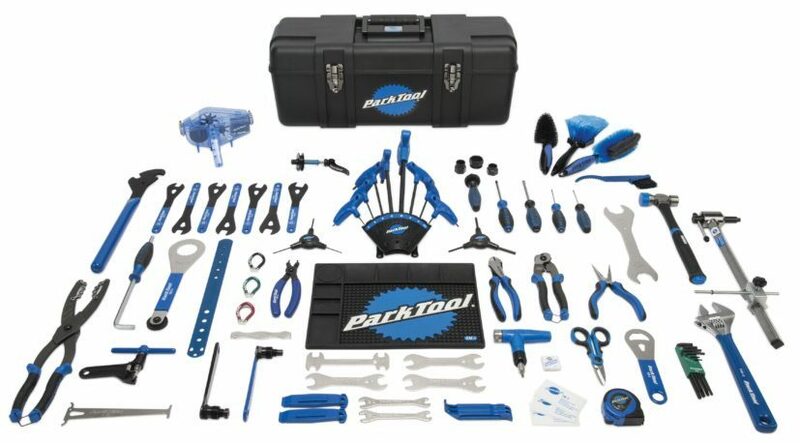 With over 70 of Park’s best and most essential tools it has everything you need to fearlessly tackles any repair with ultimate confidence (including a great many non-bike related fixes!). With this kit, your pegboard will be the envy of the neighborhood. Don’t need quite this much repair capacity to be satisfied? Park offers numerous kits at lower price points to fit your needs. Nothing moves a mechanic like a sweet rolling stool while also making things easier on your back in the process. Park’s roller is an iconic addition to any garage that compliments your choice in tools. 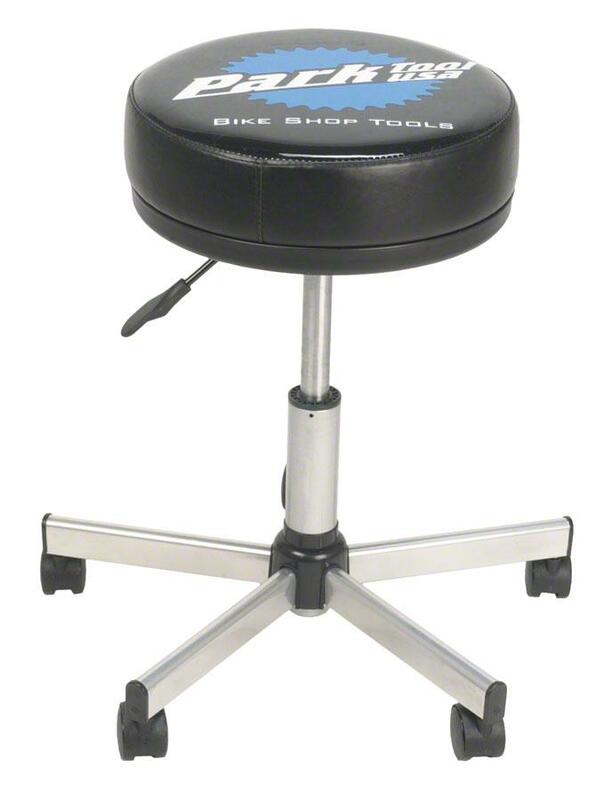 It features an adjustable gas shock with five inches of up/down travel, a swivel seat and smooth rolling wheels so you can get from the bench to the stand to the mini-fridge, and back with ease. We’re big fans of bench top accessories that are as useful as they are stylish, that’s why Silica’s HX-One is a fine addition to any bench top work space. 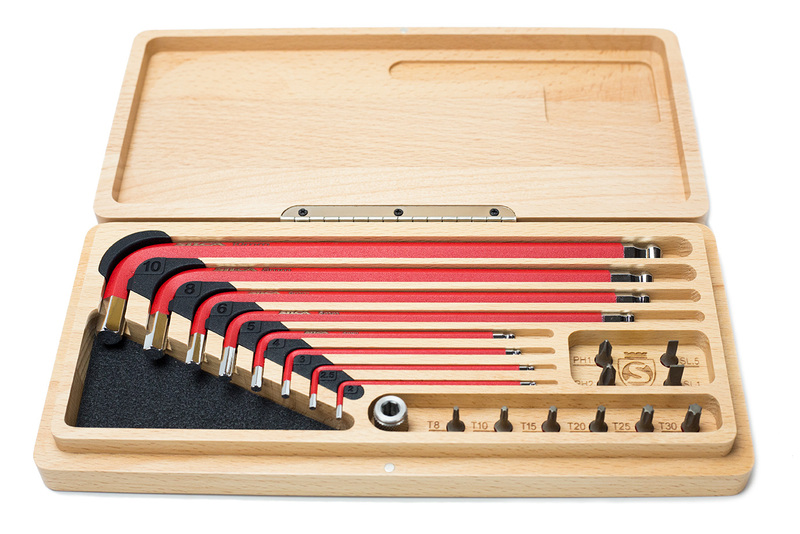 Housed in a beautiful CNC machined Beechwood box its eight hex keys have a distinctive, hand-friendly red polymer coating. It also includes a custom S2 6mm steel bit adapter to standard 1/4-inch bit for the 10 included S2 steel bits: T8, 10, 15, 20, 25, 30 star, flathead S1 and 5, and Phillips PL1 and 2. Each tool is housed in a uniquely labeled storage cutout for ultimate professionalism and fashion. Make no mistake, while this looks like a centerpiece, once put in place they will be your go-to bits for a majority of quick repairs. Few tools can complement a dream garage like something from Abbey, and its Decade chain tool is the latest addition to a line of stellar products. Abbey claims, during in-house testing, to have broken over 10,000 chains on a single tool and pin during the two-year development cycle. The threaded body and lead screw are made from cro-moly and the freely rotating pin is made from a shock rated tool steel. It comes with a spare pin in the handle and they are cross compatible with most every chain including Campagnolo. Even more, the interchangeable mid plate (the saddled part that holds the chain in position) can be swapped to work with nearly anything available as well as anything in the future because Abbey will continue to update that piece as chain widths and pitches change and evolve. 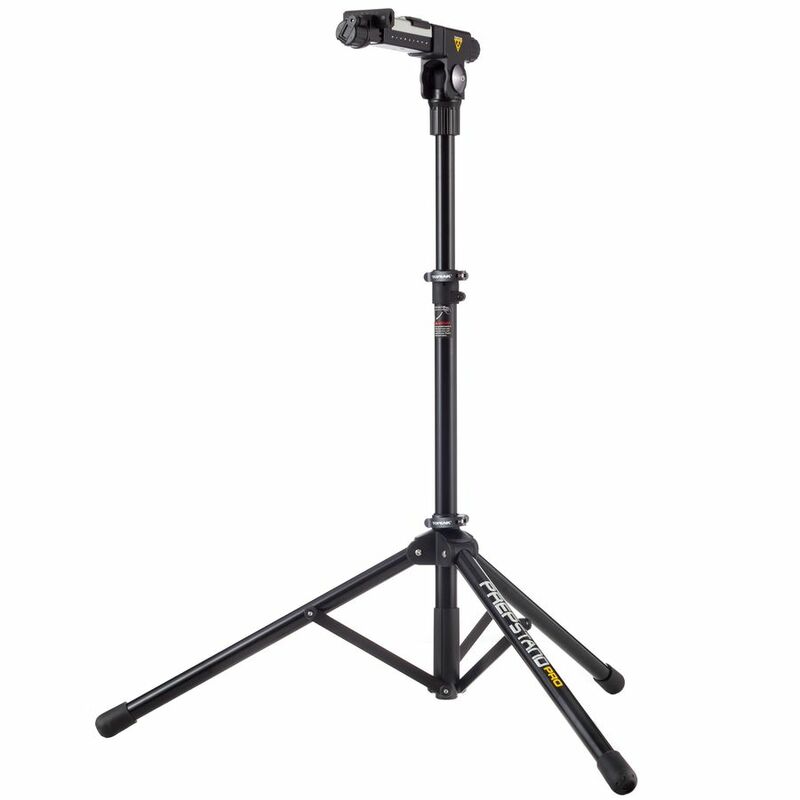 One of our favorite stands thanks to its quality and ease of use, the PrepStand Pro is built from strong, lightweight 6061 T6 alloy tubing with sturdy rubber feet that create a solid and stable tripod stance. It easily folds down, thanks to quick release clamps, to fit into an included carry bag for home or travel use. The clamp knob has an integrated handle that makes getting your bike on and off the stand easier than many of its competitors. 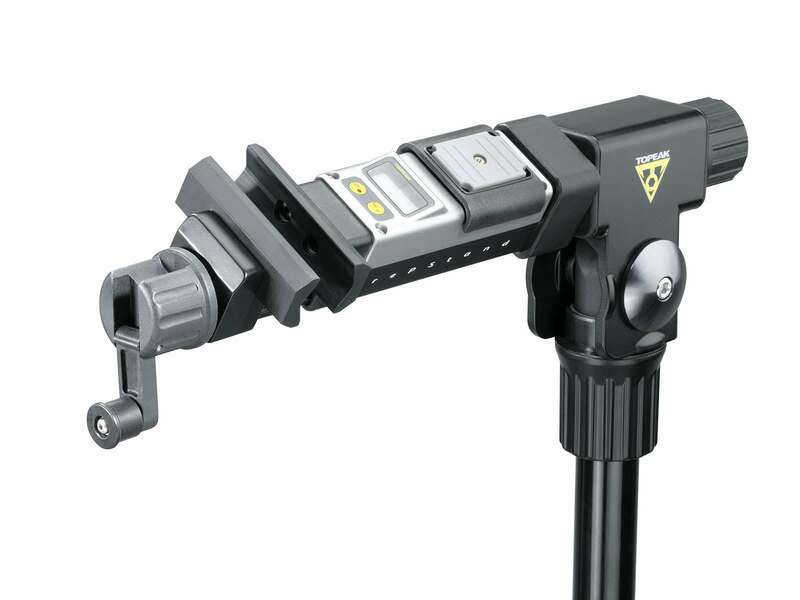 The clamp unit rotates a full 360 degrees and it includes a built-in digital scale to accurately weigh small parts and whole bikes up to 55-pounds. Every garage needs a high quality floor pump, it’s arguably as important–or more so–than the stocked mini-fridge in the corner. Arundel is a small Texas based bicycle company that creates some pretty cool accessories and that’s why we like them. 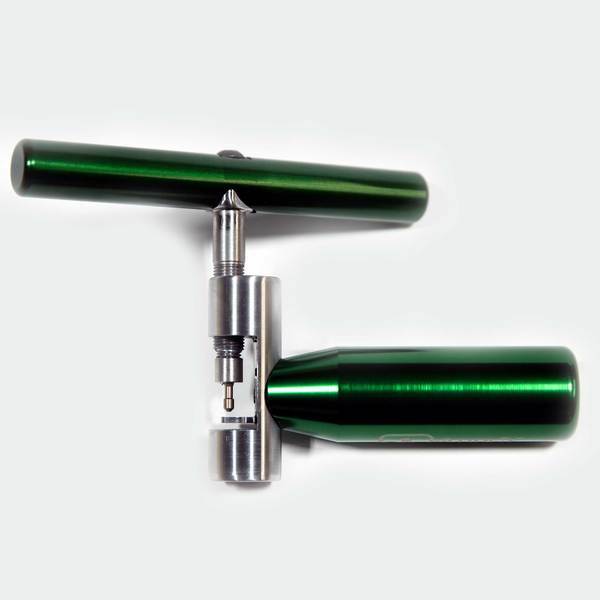 Its Floor Pump 1 is a beautifully crafted tire inflation device with a genuine wood handle, large anodized aluminum shaft and base for long-lasting durability and stainless steel internals that won’t rust. Plus, it’s fully serviceable with replacement parts readily available. The 3-inch analogue gauge is precise and easy to read. 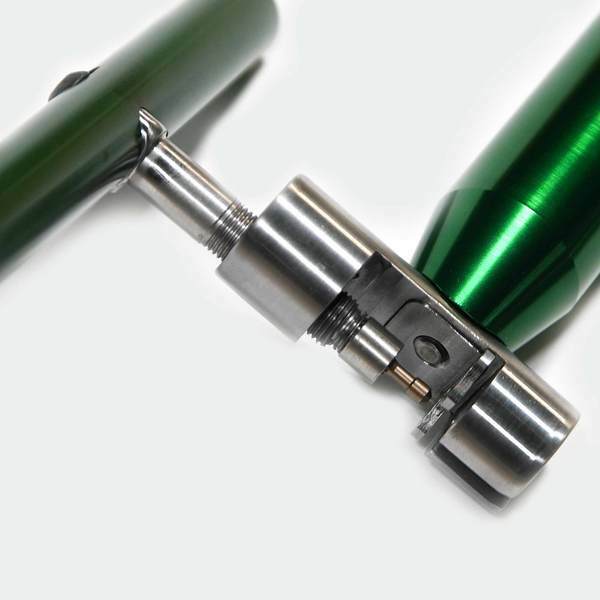 What really caught our eye is the in-house designed “Hansel “aluminum presta head with an old-school thumb lock—it’s secure, offers great leverage and has a replaceable rubber grommet. With that super tricked-out garage you’ll need a stylish way to store your beloved bikes. 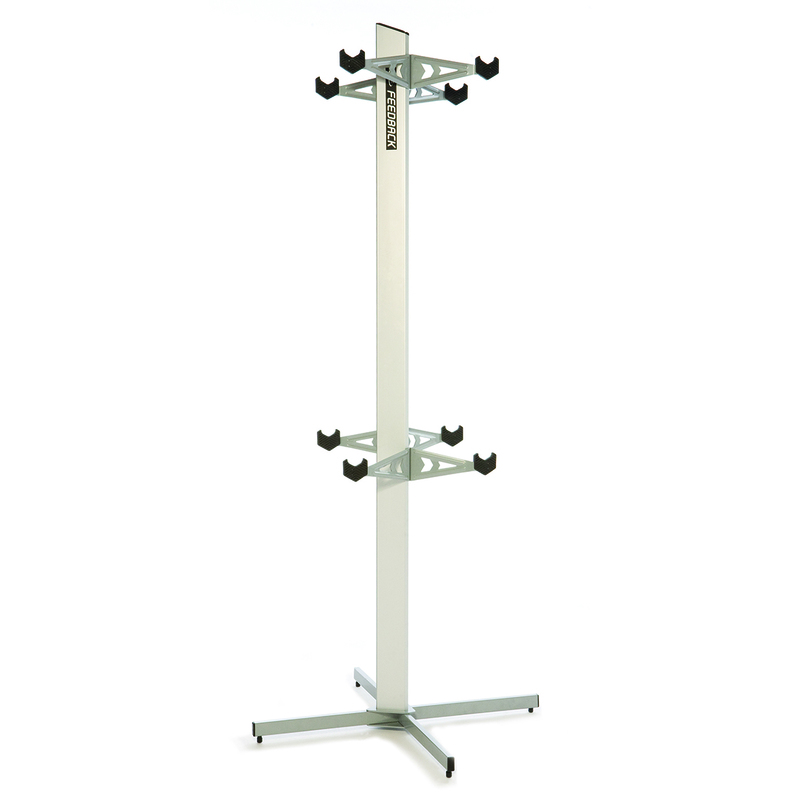 This elegant, high-quality bike storage stand from Feedback looks great in your dream space or living room minimizing clutter while maximizing style. Soft rubber holders softly and securely cradle your bike while protecting its finish. A sturdy, modular design supports up to 4 bikes. 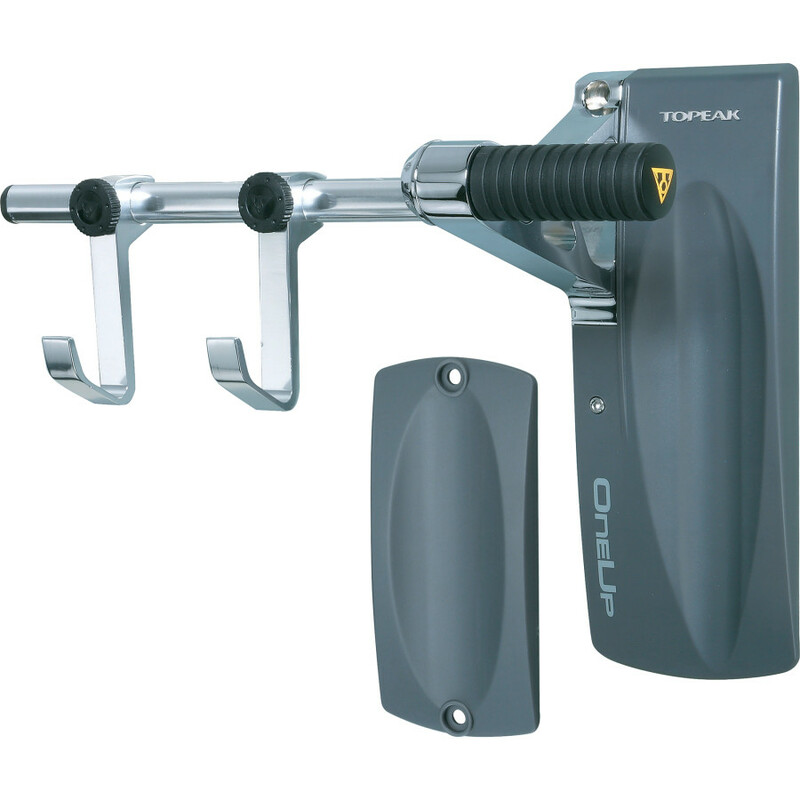 If a freestanding rack doesn’t cut it this nice little wall mount from Topeak could be your ticket for clean, multi-bike placement throughout your garage. 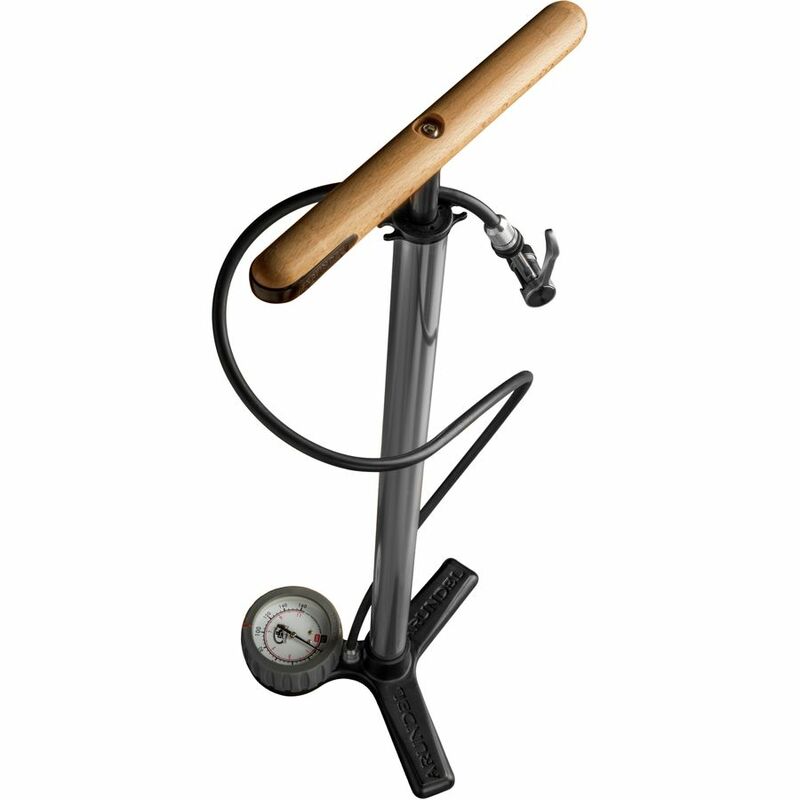 It’s an elegant, functional holder with a molded rubber bar and front wheel holder so the bike doesn’t twist or turn. The kit also includes a separate molded rubber rear wheel pad to grip and prevent tire marks on your wall. Also featured are two additional hooks to hold important every-ride accessories. Arguably, one of the most essential items to make your garage work space a complete, true hideout is a mini-fridge so you and your friends will always have a cold drink just a mere arm reach away. 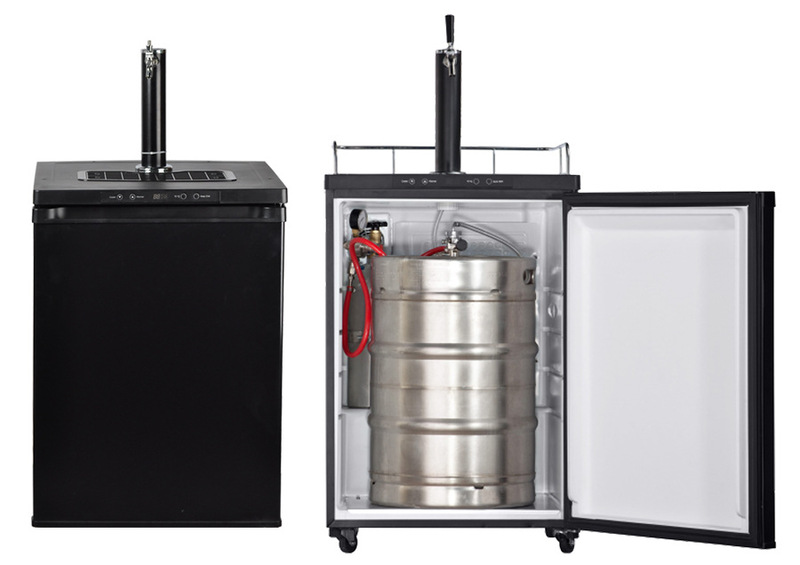 We like the Smad because it pulls double duty; it’s a full blown kegerator that comes complete with an (empty on shipment) aluminum CO2 tank, tap and all accessories for those long afternoon and evening work sessions when a keg is in order to keep the squad happy. Other options? Cool as well. 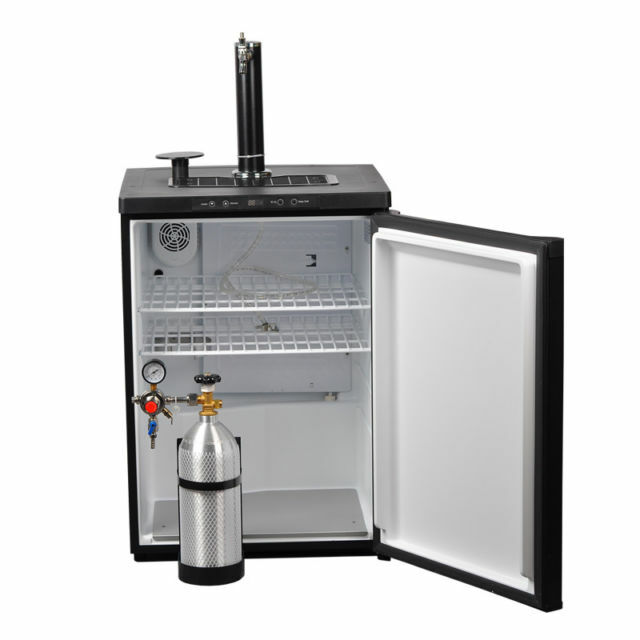 It also easily converts into a standard mini-fridge with shelving thanks to a cold sealing tower hole cap so you can stock all types of cold drinks when less (or no) beer is on the agenda. Working outside rather than in the garage? It also has swiveling wheels so you can take it with you around the house and yard. There’s a lot of shop ideals to be had in the tool section of the site. Their choice of allen set and chain tool are on the pricey side. Nice, but complete overkill, I build my own workbenches are you can search Craigslist and find some nice workbenches and tools at a quarter of the cost. For every item that is mentioned, there is a less expensive version that can be purchased. Don’t forget good lighting and an air compressor is always nice to have.